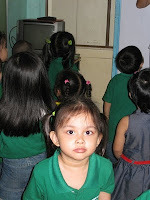 June 15 (Tue) marked the first day of school for Reese. It was only a month ago that Gani and I decided to send her to school, we felt it might be too early for her since she will only be turning 3 by July. 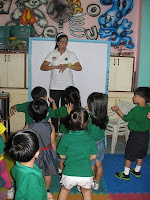 But now, we both feel that it would much better for her to spend few hours each day to meet new friends/playmates and continue learning through the guidance of a teacher. 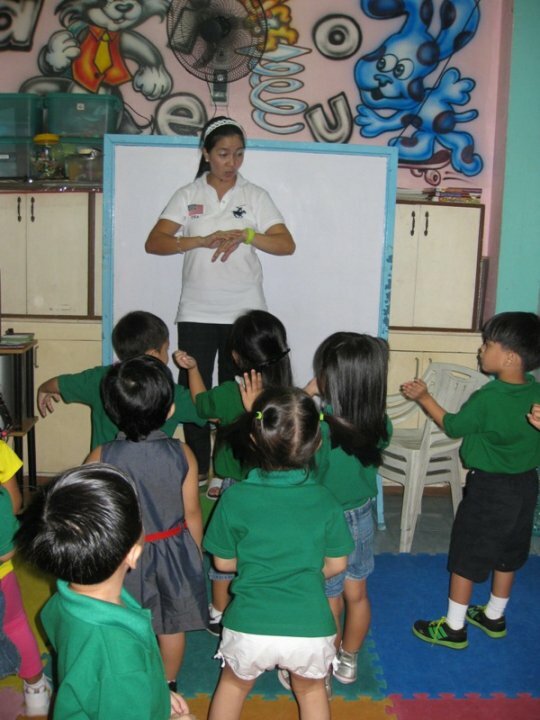 Now, Reese is officially a Nursery student in one of the preschools here in San Juan. We arrived 15-minutes early and waited for the class to start. At first she was quite shy and did not want to let go, but good thing she was not crying like the other kids. I led her inside the classroom and stayed there until she got comfortable sitting in the rubbermat to play with the other kids. There were 17 kids in the class composed of 11 girls and 6 boys. They have 1 main teacher and 3 assistant teachers to take care of all of those little tots. The highlights of that day for me was first when teacher held a stamp, Reese immediately stood up from Indian seat position, raised her hand, and told teacher, “Star si Reese, star?”. Everybody in the room found it cute and had a good laugh. She was excited to get a star too, like her cousin Edlan. 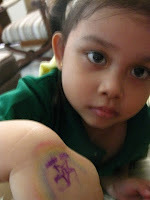 Another thing was when teacher asked “Who wears socks?”, Reese stood fast, approached her teacher and removed her shoes right away to prove that she wore socks. Haha!